Uganda’s welcoming people and stunning natural heritage have charmed people from all over the world for centuries. In 150 AD, the Greek philosopher and geographer, Claudius Ptolemy, spoke of the ‘mountains of the moon’ – the snow-capped Rwenzori Mountains, which span 75 miles along the country’s border with the Democratic Republic of the Congo (DRC). As they were then, these equator-hugging mountains – Africa’s highest mountain range – are still a marvel for explorers and hikers today. Along with Mount Kilimanjaro and Mount Kenya, the highest mountains in the range are the only peaks in Equatorial Africa to boast snow and glaciers all year round. Lonely Planet named Uganda as the best country to visit in 2011 and 2012; National Geographic deemed it one of the best travel destinations in the world in 2013; and CNN named it a must-see destination in 2014. 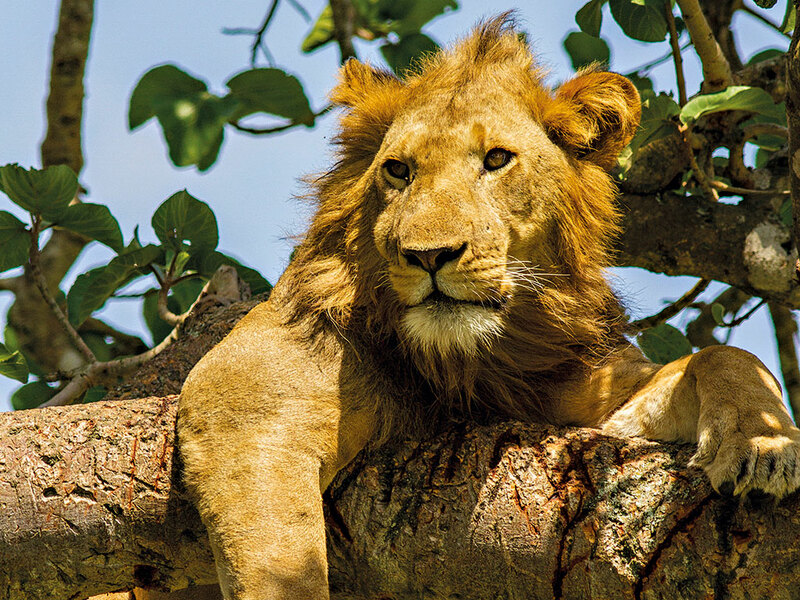 Unspoiled by mass tourism, Uganda offers an authentic safari experience where 1,057 varieties of bird – 11 percent of the world’s total species – can be observed amid stunning scenery and the convenience of modern amenities. The country is also home to the source of the Nile River, one of the Seven Natural Wonders of Africa and the longest river in the world. Visitors can go white-water rafting, river surfing, bungee jumping, fishing or take a sunset cruise on these waters, or visit the town of Jinja – the adventure capital of East Africa – on its banks. Mount Elgon, an extinct volcano, is one of the highest points in the country, providing yet more opportunities for climbers and hikers visiting Uganda. As a contrast to the snowy Rwenzori Mountains in the west, Elgon in the east welcomes adventurers with the cool waters of the world’s largest caldera. Between these two sites lie great savannah plains, which are home to a total of 11 national parks: Kidepo Valley National Park was voted the third best national park in Africa by CNN in 2013, while the Murchison Falls, Queen Elizabeth, Bwindi and Mgahinga National Parks are all held in particularly high regard on the global travel agenda. However, one of Uganda’s finest offerings is undoubtedly its gorilla tracking expeditions: the country is home to around 880 mountain gorillas – more than 50 percent of the world’s remaining population, the remainder of which can be found in Rwanda and DRC – and tracking the last of these gentle giants is an experience that must be seen to be truly believed. The warm and friendly people from over 40 different cultures who live in the country make the entire Ugandan experience complete. During a visit, guests will interact with people from countless ethnic groups, some with histories that span thousands of years. This stirring diversity, combined with the welcoming attitude of its locals and its overwhelming supply of sites of natural beauty, is what truly makes Uganda the pearl of Africa.